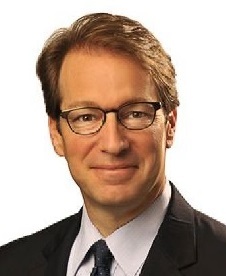 Note #1 to Ops: Peter Roskam is not like you -- he reads the LakeCountyEye. Peter Roskam would have preferred a two-for-one discount colonoscopy over having to cast an up or down vote to repeal the ObamaCare. But, long story short, that up or down vote imploded last week. And this week vestigial Lake County Congressman Peter Roskam is sitting tall in the saddle. 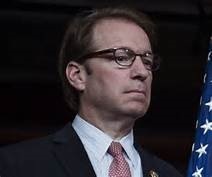 Rep. Peter Roskam (R-Ill.), a former member of House Republican leadership, is leading a charge to bury Speaker Paul Ryan's Obamacare replacement once and for all and start over, multiple sources told POLITICO. The move by the senior House Republican who sits on the Ways and Means committee could complicate any GOP leadership attempt to resurrect the bill that Ryan pulled from the floor Friday. 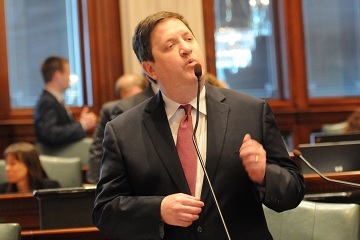 Note #2 to Ops: From your LakeCountyEye's lips to Peter Roskam's ear. 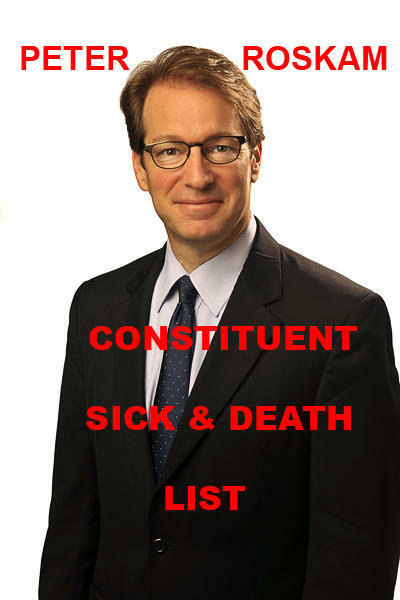 If Peter Roskam's re-election campaign was on life support, it just got a shot in the arm from ObamaCare. And not a minute too soon, because if ObamaCare had been repealed then Peter Roskam's Congressional career would be flatlining. Roskam, Lake County's vestigial Congressman, represents a district that Hillary Clinton won by a 10 point margin. And, in what could only be described as a near-death-experience, Peter Roskam this week came perilously close to casting an up or down vote to repeal ObamaCare. Had he voted to repeal ObamaCare, Roskam risked losing his job when his constituents lost their health insurance. 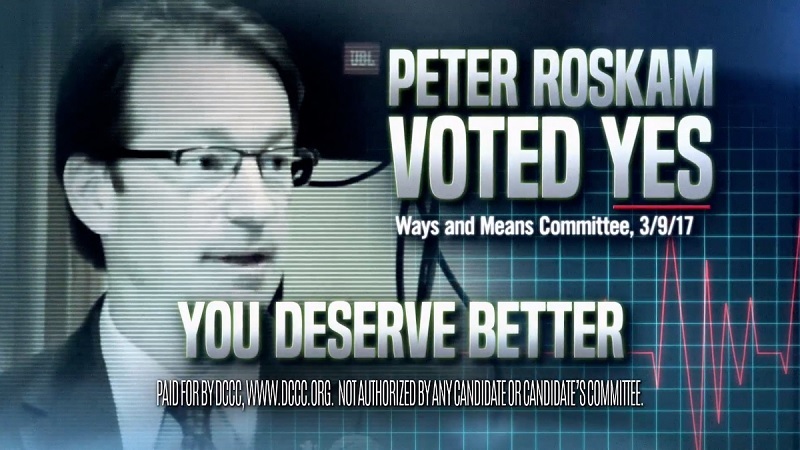 But vote against repealing ObamaCare and Roskam risked losing his job to a Tea-Party challenger in the Primary. As luck would have it, Roskam had to risk neither this week -- because TrumpCare was DOA. 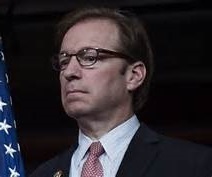 And for now and the foreseeable future, Peter Roskam is ObamaCare-free -- a medical miracle! Six-time Illinois Congressman Peter Roskam said he would have voted in favor of the president's proposed health care bill but it was pulled from consideration before it could proceed to a full House vote on Friday. If the North Cook News looks familiar, it is published by the same outfit that publishes the Lake County Gazette -- Lake County's #1 source of pro-GOP fake news. Just what the spin-doctor ordered! 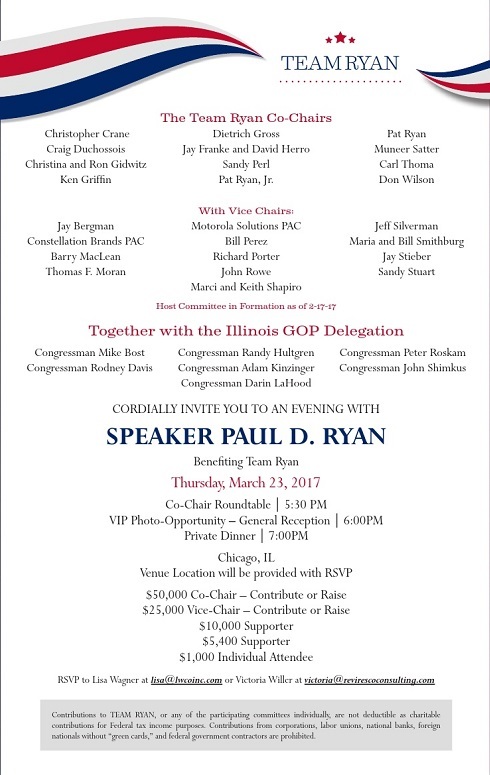 One spokesman said: "The Speaker of the House Paul Ryan and the Illinois GOP delegation have been invited. This townhall is temporarily on-hold while Peter Roskam and these men pursue their historic vote to repeal ObamaCare!" 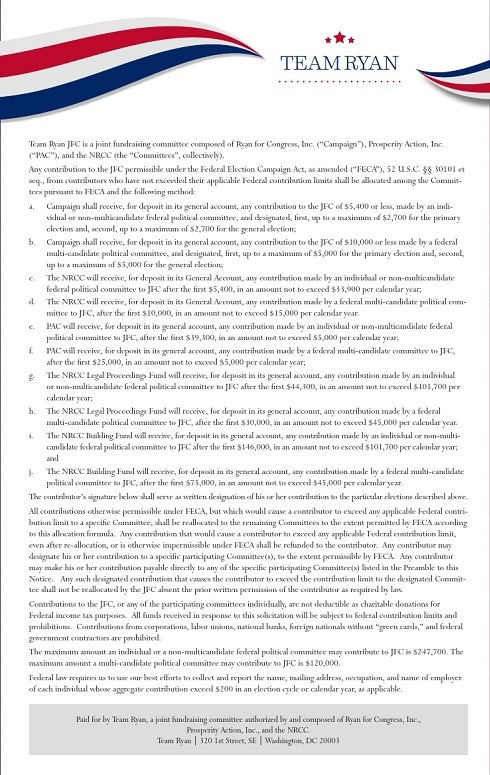 Spokesman #2 said: "Tickets range from $1000 to $50,000 -- which we think should work well within the budget of every Sixth Congressional District constituent!" Spokesman #3 said: "The townhall will be held at an undisclosed location. If you get lost, just look for a throng of demonstrators protesting in front of the Chicago Club @ 81 East Van Buren St in downtown Chicago!" Spokesman #4 said: "No health insurance? No worries. A full staff of trained cardiologists will be on premises -- along with the necessary resuscitation equipment. So be sure to come hungry!" Your activism is making a difference! 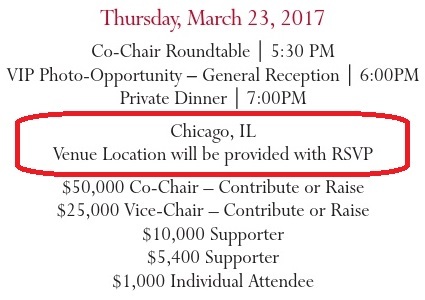 Paul Ryan has postponed his Thursday fundraiser in Chicago. Ryan will be in Washington on Thursday to Repeal the ACA. 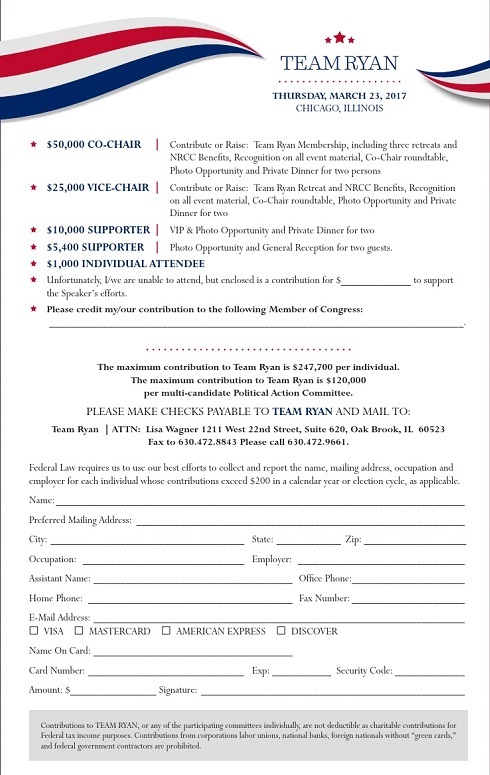 Send Peter Roskam a Message! March against Paul Ryan and Peter Roskam who want to repeal the ACA. 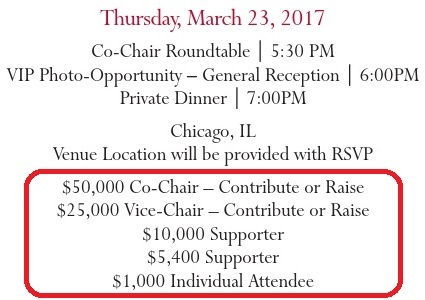 It's going to be important to draw attention to Roskam and the ACA on both days, so bring signs about Roskam and the NEW cruel Republican replacement proposal. Lake Forest-area residents might have dodged a bullet Wednesday after a freight train carrying sulfur derailed but did not spill. The Federal Railroad Administration is investigating the situation that started shortly after 3 a.m. when 11 rail cars went off the rails and piled up alongside the Union Pacific Railroad tracks. Contrary to widespread belief, the toxic freight was not high-fructose corn syrup. 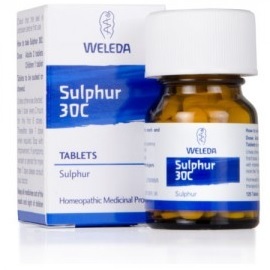 The toxic substance in question was actually molten sulphur. 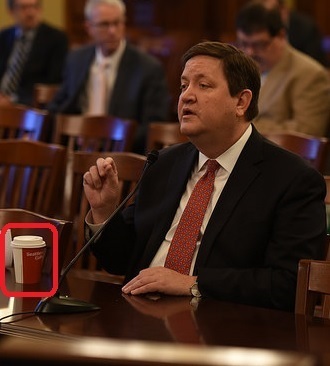 Lake County's corporeal State Representative, David McSweeney, was unavailable for comment. 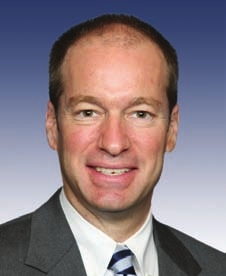 Peter Roskam was once asked how he was different than a street mime. He wouldn't say. For weeks, constituents of Congressman Peter Roskam — one of the most powerful Republicans in Congress – have accused him of ducking their questions. 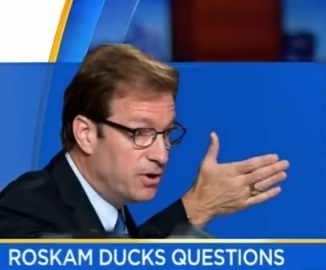 As CBS 2 Political Reporter Derrick Blakley explains, Roskam is now ducking reporters' questions as well. Fair or fowl, you've waddled through another hilarious LakeCountyEye Double Vision™! never appealed his property taxes. The Lake County Board of Review is seeking additional members to assist with property tax assessment appeal hearings from July through November. Appointees are paid $250 per full day. Eligible applicants must have experience and training in property appraisal and taxes, and pass an Illinois Department of Revenue exam to be given at 9 a.m. April 12, at the Kane County Government Center, 719 Batavia Ave. Geneva. 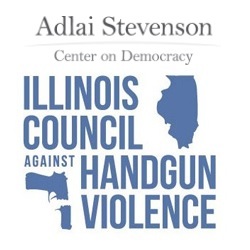 Visit www.revenue.state.il.us for review materials. Seating is limited. 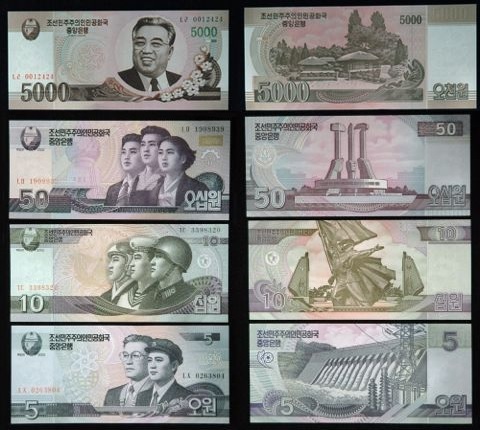 Note to Ops: $250 a day is nothing to sneeze at. At full-time rates that works out to sixty-five grand a year. Of course they don't make it easy to get on board -- you need to go to Geneva (Illinois) and pass an assessor's exam. One spokesman, however, offered some helpful tips to applicants: "If you don't have transportation to Geneva, there is always Uber. And if you don't think you will pass, you can always ask your driver to take the exam for you. Also, if that driver passes, he can sit on the review board for you -- and you can turn that extra free-time into extra cash by driving for Uber!" A win-win for everyone by your LakeCountyEye's reckoning. ... with Dr. I.M. Bhatschidtkhrazzi, Historian of Lake County Chairmanships at the College of Lake County. "Did you hear that Aaron Lawlor is gay?" said Dr. Bhatschidtkhrazzi. "You could've bowled me over with a butter nut squash." After the event, Lawlor, 34, said in a phone interview that he "meant to share with the audience that I'm gay." "Smart politics." nodded Dr. Bhatschidtkhrazzi. "Politicians know that Lake County voted for Hillary Clinton over Donald Trump by an incredible 58 to 37 margin. Especially Republican politicians. If they hope to get re-elected in 2018 they need to put as much distance as possible between themselves and the head of their Party, Donald Trump -- who is red meat radioactive. A GOP candidate could start by telling the press he is gay -- even if he is not!" Your LakeCountyEye strongly suspects Lawlor is. "Lawlor is a special case." confided Dr. Bhatschidtkhrazzi. "Suppose Lawlor decided to run for higher office. Like Lieutenant Governor. Or even State Senate. What do you think his Republican Primary opponents would all be whispering?" Dr. Bhatschidtkhrazzi smiled. "And what do you think his Republican Primary opponents will not be whispering -- now?" "Smart politics." chuckled Dr. Bhatschidtkhrazzi. Aaron Lawlor Speaks at "A Welcoming and Inclusive Community - Summit of Leaders"
"Ya," grimaced Dr. Bhatschidtkhrazzi, "it looks more like he's being prepped for a colonoscopy there." And your LakeCountyEye couldn't help but notice Lake County State's Attorney Michael Nerheim seated behind the podium. "Nerheim never batted an eyelash." observed Dr. Bhatschidtkhrazzi. "To be fair, no one ever listens to these speeches. Nerheim might have been doing math problems in his head. Like how many wrongful prosecution judgments can the County absorb, without going belly up." 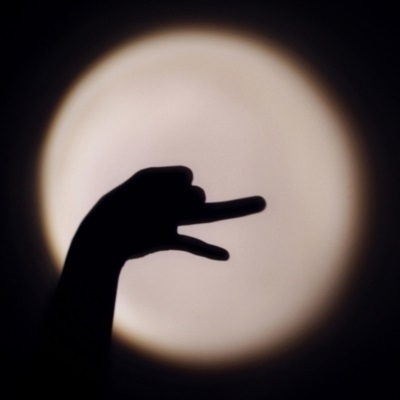 Embrace the crazy. Did Dr Bhatschidtkhrazzi have any parting advice? "You can break some news. Tell your operatives that Princess Nudelman is gay."